If you’re British and can remember all the way back to the 80s, you’ll know who Eddie The Eagle is – a man who had a dream and made it real, even if he never had a chance of winning. Now his story has been made into a movie, with Taron Egerton (Kingsman: The Secret Service) as Eddie and Hugh Jackman (Wolverine) as coach Bronson Peary. Dexter Fletcher directs the film, with Matthew Vaughn producing. It’ll be in UK cinemas next April. 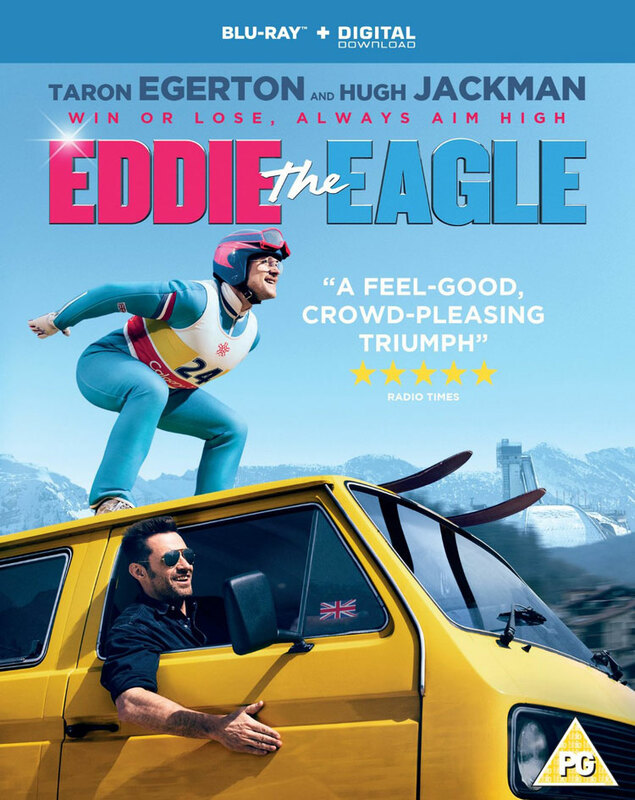 If you’re British and remember the 1980s you’ll know exactly who Eddie The Eagle is, and considering its the sort of underdog tale us Brits seems to love, it’s almost surprising it’s taken this long for someone to make a biopic about him. Now it’s happening though and we have proof, as Hugh Jackman’s Twitter has shared an image of him and Taron Egerton taken on the first day of filming. 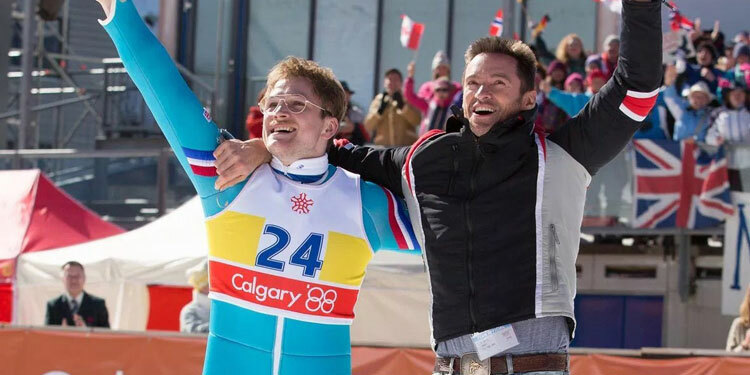 Hugh Jackman is set to play Chuck Berghorn, a Lake Placid ski jumping expert who helps a young, unlikely Brit called Eddie train for the Calgary Olympics in 1988. Nicknamed Eddie ‘The Eagle’ Edwards, he became Britain’s first ever Olympic ski jumper in Olympic history, becoming a media sensation even though everyone knew he had no chance of winning. Part of his appeal is that he came across as a very nerdy, normal kind of guy, who had a dream and got far further with it than anyone ever imagined. Unless you’re a fan, you could be forgiven to think Scottish musical twins The Proclaimers only had one song, the ubiquitous I’m Gonna Be (500 Miles), although some might also be able to tell you Letters From America is also one of their tunes. As a result to some it may seem odd to base a musical around their songs, but it’s actually a surprisingly smart idea. Ever since Sacha Baron-Cohen dropped out of the planned Freddie Mercury a few years ago there’s been much speculation over who will replace him, however there’s been less talk about who will direct. Now Deadline reports that actor turned director Dexter Fletcher (Wild Bill, Sunshine on Leith), will helm. It’s also been confirmed that as rumoured for the past couple of months, Ben Whishaw will play Mercury. He’s now officially made a deal to star. Fletcher has apparently been meeting with the surviving members of Queen to get a better feel for the story. The movie will be a coming-of-age tale, leading up to Queen’s iconic Live Aid performance at Wembley Stadium in 1985, which is considered one of the great rock performances of all time. Peter Morgan, Christopher Wilkinson and Stephen J. Rivele wrote the screenplay, with production slated to begin next year. Mercury died of AIDS in 1991, although his last days will not be part of the film. There will be plenty of Queen music. It was reported that Baron-Cohen left as he wanted a gritty, warts-and-all tale, while Queen is hoping for a more family friendly film, and that is why he left. Because of this, the presumably won’t get into the wilder side of Freddie’s life and sexuality. Dexter Fletcher surprised many with how good his first film as a director, Wild Bill, was. It certainly ensured that many have been keen to hear what he’d do next, and now Variety has brought us that info, as he’s set to helm Sunshine On Leith, and it appears it’ll be a musical. In fact plans are so far advanced that he’s already started shooting, with Peter Mullan and Jane Horrocks set to star. There’s not too much info on the plot, although Proclaimers fans may now it’s the name of their 1988 album that included the hit ‘I’m Gonna Be (500 Miles)’. That’s not a coincidence, as Stephen Greenhorn is adpating the film from his own musical, which has the music of the Scottish brothers threaded through it. George McKay, Kevin Guthrie, Antonia Thomas and Freya Mavor will also star, with filming taking place over the next six weeks.